Since 1979, award winning writer/videographer Daniel Buckley has written about Tucson, its musicians, artists and people, as well as the many cultures that make up the longest continually inhabited place in North America. 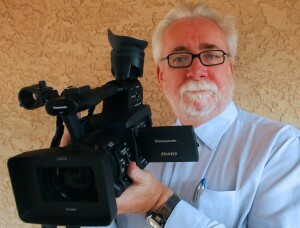 In 2002 he spearheaded a new era for Arizona’s longest running newspaper, the Tucson Citizen, by developing and heading its multimedia offerings on the web. A skilled writer, videographer and editor Buckley is a storyteller at heart, using media new and old to tell the tales of an evolving city and state.